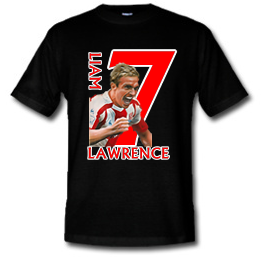 Liam Lawrence - Portrait design. 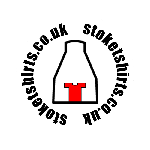 Stoketshirts.co.uk are proud to bring you this new design based on the outstanding brushwork of the artist known in certain circles as "Potter63". 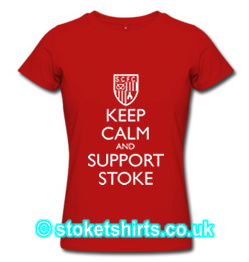 Much talked about and well-received by those who have seen some of his images - it was just a matter of deciding which of the Stoke squad would be first to get the potter63/stoketshirts treatment. City's no. 7 is beautifully rendered in a colourful image that captures Liam's fire and dynamism, while celebrating Stoke's first Premier League goal - combined with his name and squad number to create a striking design. - One for the "Fine Art" collection.